Joanne M. Gleim, 81 of Surprise AZ passed away peacefully on March 14, 2019, in her home after a recent battle with brain cancer. She was born September 21, 1937 in Riverdale IL, the daughter of Joseph and Anna (Bell) Calo. 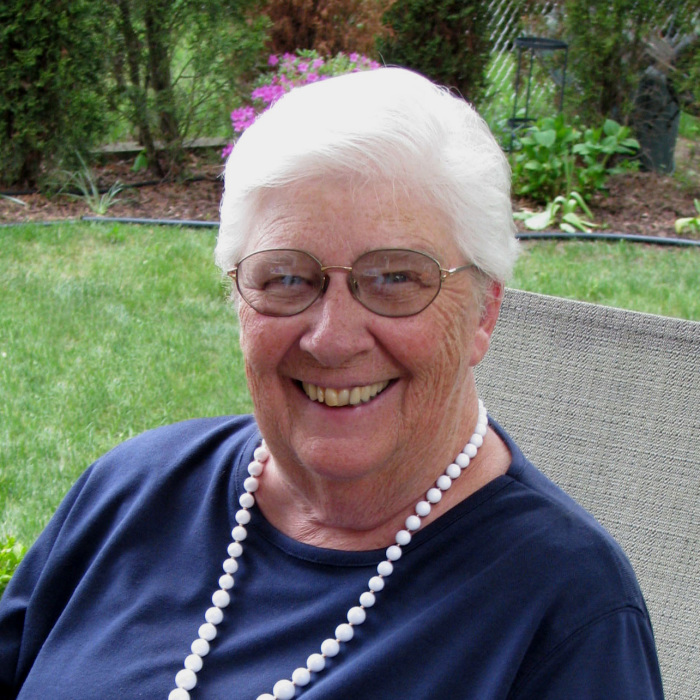 She graduated from Thorton High School in Thorton, IL in 1955 and in August of 1958, married George Gleim. Before moving to Surprise AZ full-time in 2000, Joanne lived in Rockton, IL with her loving husband, George, where they raised their 4 children. She worked as a Legal Secretary for many years in both the Midwest and in Surprise AZ. She had a strong faith in God and was an active member of Lord of Life Lutheran Church in Sun City. She believed strongly in helping others and volunteered her time and talents in many ways at church, Del Webb Memorial Hospital, and Benevilla. Joanne had a passion for traveling internationally and within the US along with visiting her children and grandchildren. She enjoyed fellowship with family and friends, golfing (even got a hole in one), reading, stain glass making, bocce ball, bowling, playing bridge and dominoes. Joanne is survived by her 3 daughters, Karen (Frank) Maglio, Suzanne McTaggart, Katherine (Kurt) Matson; Daughter-in-Law, Sandy Gleim; 6 grandchildren, Zachary Gleim, Clayton McTaggart, Matthew Gleim, Connor McTaggart, Dana Matson, and Michele Matson; Sister, Ruthann Herbst. Predeceased by her parents; loving husband, George, son Michael Gleim, and sister Lorraine. Celebration of Life will be held at Lord of Life Lutheran Church, 13724 W Meeker Blvd, Sun City West, AZ 85375 on Friday, April 5 at 2pm. In lieu of flowers, memorial donations may be made to the Memorial Fund at Lord of Life Lutheran church at 13724 W. Meeker Boulevard, Sun City West, AZ 85375 or http://www.lolaz.org/donate.